As an experienced executive coach, speaker and facilitator, Arjan works with senior executives, leaders, business owners and professionals in the U.S.A., Europe and in Asia. Arjan builds a deeply personal rapport with each client, successfully advancing her client’s already highly respected career to one that is both impactful and personally gratifying. Arjan helps her clients to define and attain their objectives, supporting each client to develop an authentic leadership style and increase their leadership effectiveness as well as the effectiveness of the teams and the organizations they manage. Her clients call her inspiring, insightful, and motivating. Arjan’s approach is both highly strategic and profoundly personal. Through a dynamic dialogue and partnership, she helps her clients develop clearly defined and manageable objectives, create concrete plans, access new tools, and take the steps necessary to achieve desired goals and a vision. She focuses on her client’s distinctive strengths, creates awareness around opportunities for growth and areas for development to advance a client’s full leadership potential. Arjan’s coaching strategies are embedded in research, and she uses a practical results-oriented approach. The partnership she builds with her clients creates an energy that inspires clients to take action and elevates them to a higher level of career achievement and fulfillment. Arjan provides a safe environment where learning and growing is central. She uses her intuition and insights to get to the core of an issue. Uniting her straightforward, goal-oriented approach with an intuitive and organic style, she uniquely accelerates and deepens the process of achieving her clients’ vision and goals through creativity, positive energy, humor, and a deep knowledge of business environments, career development and life issues. Clients look forward to their meetings as a time to reflect and create new thinking. 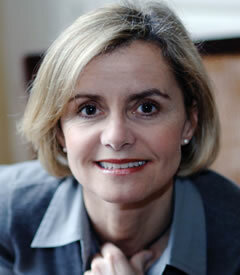 In addition, Arjan uses the latest research on leadership, organizational development, positive, conversation and emotional intelligence to support her coaching techniques. Arjan, a mother of three, is a passionate advocate for professionals who are expectant parents, and believes that coaching can be beneficial for supporting this life change for the professionals as well as for the companies. Arjan works with female leaders before, during, and after maternity leave. She particularly emphasizes positive intelligence to develop a solution-oriented approach. The focus of the coaching is to create clarity about values, to gain insight in changing dynamics, to challenge assumptions, and to design a life style that support clients in balancing an exciting career with fulfillment in their personal life, during a transition period as important as a growing family. Arjan has more than 20 years’ experience in corporate and non-profit leadership positions. As an international marketing executive with the HRI Group of Companies, whose brands include Leading Hotels of the World and Prima Hotels, Arjan had global marketing and communications responsibilities. This included leading an international sales and marketing staff and representing hundreds of hotel properties worldwide. Her marketing and communication expertise is a strength that she consistently incorporates in her coaching to benefit her clients in their reach of higher goals. Arjan holds an M.B.A. from one of the premier universities in Holland, University of Groningen. She earned her coaching certification from New York University and is accredited by the ICF (International Coaching Federation, the leading global coaching organization). She has advanced certifications in Executive, Business and Career Coaching and is well-versed in many personal and leadership assessment tools, such as the MBTI, Strong Interest Inventory, the Hogan Leadership Assessment, and 360 assessment. Arjan coaches professionals from all levels of management, including C-level executives at Fortune 500 companies, managing directors at top financial groups, senior level industry leaders, corporate managers and entrepreneurs. Arjan’s clients come from a wide variety of fields: financial services, marketing, law, education, consumer goods, healthcare, retail, publishing, investment banking, information technology, and not-for-profit. Her clients work in companies ranging from small businesses to Fortune 500 companies and multinational corporations, including Goldman Sachs, JP Morgan Chase, UBS, Rabobank, Wells Fargo, BlackRock, MasterCard, the United Nations, New York Hospital, UBS, Pearson Publishing, Deloitte Consulting, Ernst & Young, Citibank, the United States Navy, Avon, Harman International and RGA. What is Parental Transition Coaching? "Michelle has been part of the Wharton bench of coaches for a number of years, and has consistently received excellent feedback from the full-time MBAs that she has coached. And they have very high standards! In addition to being a skilled coach, Michelle has been a wonderful colleague: reliable, team player and a delight to work with."